We have returned home completing another “there and back again” (Thank you Mr. Tolkien) adventure, this one 5,272 miles long. We went to a few familiar places and a plethora of new ones. This is a wonderful land we live in, overflowing with interesting places and people worth remembering. This trip was no different from our others in that we made some new friends and created new memories. On leaving Rockport/Fulton we headed north to Austin where we went to an RV Show to check out the “au courant” of 5th wheels. While there we should have checked out The Broken Spoke, one of Texas’ famous dance venues, but it was mid-week so we took a pass. 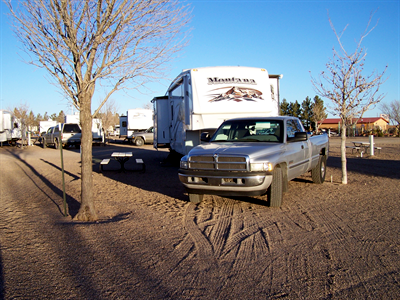 By the way, we really did not see anything electrifying at the show though there are a couple of units in Tucson that we want to look at in a week or two. From Austin we took another short drive to Bandera, which bills itself as the cowboy capital of Texas. We shopped Bandera, Comfry, and Boerne from there. 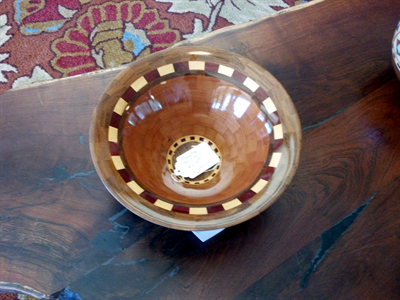 Elaine found really great fiber arts supply and I found some very nice woodwork by some local craftspeople. And one night we danced at a bona fide, indubitable, unimpeachable, Texas Honky Tonk. Would you go in here in the dark of night? Yes those are brassieres hanging from the ceiling. No I am not dancing, I’m taking the picture. We drank some beer, danced a little on the concrete floor had a good time and went home sober. From Bandera we went to Fredericksburg for mexican food at Hilda’s (You have to try it! It is great.) and you guessed it more shopping. We spent our last night in the same place as the first, 81 Palms, in Demming NM. Oops, this is a post script. 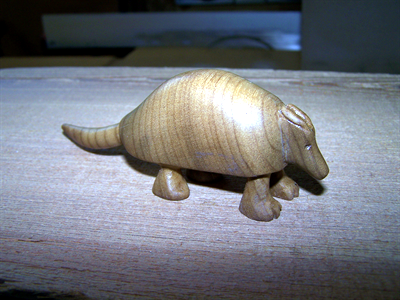 I just realized that the myrtle wood armadillo that I carved somehow got left out and Elaine says he must be included so here he is. His name is Dilly if you are curious. Thank you all for spending time with us on this Texas odyssey, Y’all. And yes your comments are welcome.